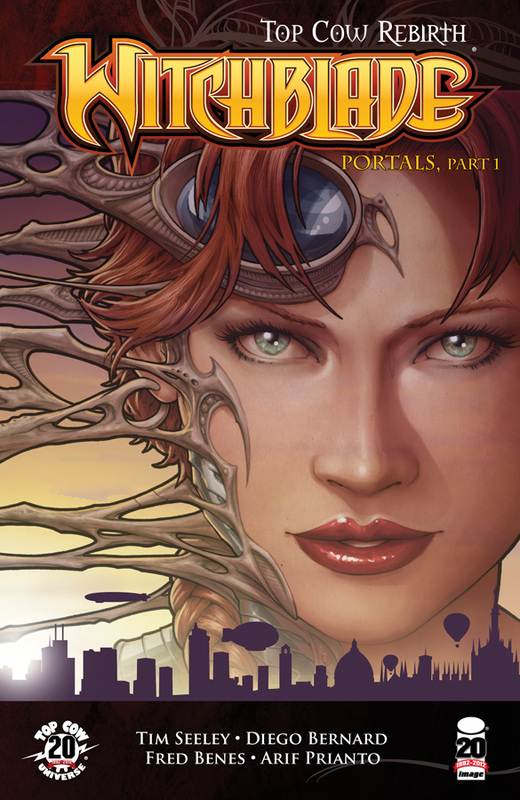 The Fellowship was fortunate enough to obtain a copy of WITCHBLADE #157 from Top Cow and Image Comics. The story is by Tim Seeley, the pencil work is by Diego Bernard with inks by Fred Benes and Alisson Rodrigues. This is an interesting start to a new story arc. I’ve never read WITCHBLADE before, but enjoyed Tim Seeley’s HACK/SLASH series so I figured I give this a try. I definitely see the Fox Mulder/Buffy mix that has been used to describe the series to me. With the help of the “previously” page, anybody has enough information to jump into this series and move on without being loss. That is a big plus in my book. I’m not really familiar with Diego Bernard, but his art is top notch. If you have been curious about this series, here’s your opportunity to jump on board and see what’s going on. WITCHBLADE #157 is in comic stores and available at www.topcow.com or www.imagecomics.com.